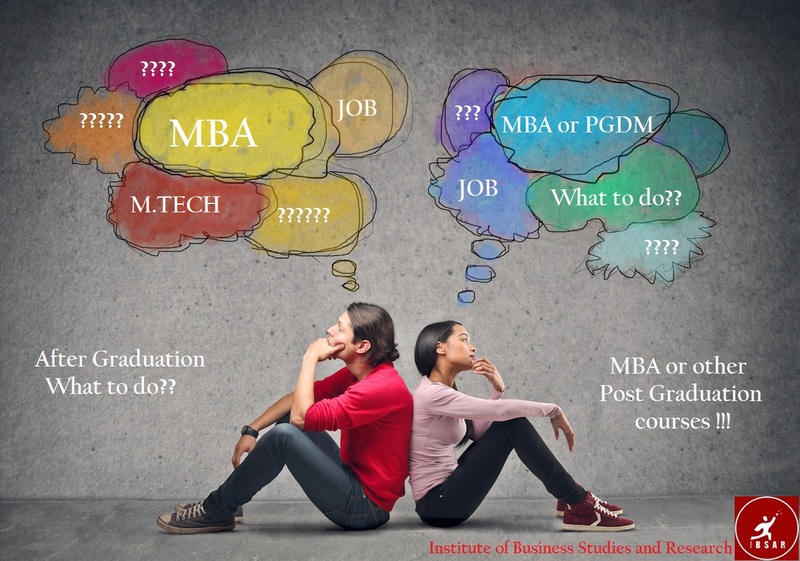 Why to choose an MBA for Post Graduation? The Masters Degree in Business Administration, MBA is very popular among graduates and is seeking the popularity worldwide. An MBA degree can certainly improve your prospects and future earnings. The leading corporate sectors like Google and IBM endeavor for MBA graduates. An MBA provides strong alumni networks that can serve you throughout your career. The corporate sector usually looks on the qualifications that promote knowledge and skills applicable to an organization. MBA degree is proven universally that focus on the business principles, such as marketing, finance, operations, technology, accounting, organizational behaviors, business strategy, entrepreneurship, and economics. The skills set: This one major difference is most prominent and an MBA is specifically designed to enrich your personal professional and competitive skills. The Teaching Style: Most of the programs involve different teaching styles given through lectures, seminars, and tutorials. MBA deal with real-life business problems that need an authentic evaluating, understanding, exploring, and clarifying. Case studies are greater that provide a practical approach to analyze the exact problems. The Subjects Covered: An MBA degree is often intended to create a fundamental knowledge that covers all the business world aspects. You will be prepared for a wide range of scenarios in various disciplines like accounting, finance and others. It makes you specialized and focused towards a particular industry. The Work Experience: The MBA programs encourage their participants to seek internship and work placements with reputable companies to contribute in live projects. This way you can yourself make an approach to research your specialized field in the market. The Employment: The MBA is a good choice and has a wide range of opportunities in terms of employment. You can run your own business management and look for an executive position in big corporate companies. These differences mean a lot when you look for a career in your professional attire. A degree when done cannot be interchangeable, so it’s better to make your mind set strong and understand your goals to choose from the best program offered by the best university. The Institute of Business Studies and Research, IBSAR in Mumbai facilitates a 2 year MBA program. They offer the best professionals that guide you and train you for an industry best experience. After accomplishing this degree you can imagine yourself sitting in a boardroom and making the corporate decisions that affect many employers and company policies. Good article. I want to do MBA but i am confuse.Can you help me?